One of the biggest worries for travellers is the possibility for luggage theft. Unfortunately, it’s a rife problem inside airports and major touristy cities worldwide. Not only are items constantly going missing from suitcases, but entire pieces of luggage can get stolen too and it’s a problem which is on the rise. Hotel lobbies, from underneath chairs, and the trunks of taxis are just a few of the places where luggage can easily go missing. Luggage theft is more of a problem when you have arrived at your destination and find yourself in the middle of a mysterious new city. More often than not, people don’t plan ahead and are a huge target for thieves when they are focusing too much on getting their bearings and finding their hotels and aren’t keeping an eye on their belongings. Solo travellers are especially susceptible to this. Here are a few ways you can prevent your luggage from being stolen. If you aren’t due to check into your hotel for a few hours and want to get as much exploration in as possible when you have arrived at your destination, the best thing you can do is lock up your luggage at a specialist storage provider. Whether you need luggage storage in Paris, Rome, or any other European city, services such as Stasher have many convenient locations for such a scenario. Not only does using luggage storage keep your luggage safe from thieves whilst you occupy yourself and take in the sites of a new place, it stops you from having to drag a heavy suitcase or bag around with you whilst you do it, providing you with more freedom to truly enjoy yourself rather than concentrating on your belongings. Thieves don’t just try and steal entire bags. In fact, it’s more common for thieves to open your suitcase and take out individual items when you’re not paying attention as you are less likely to notice this. If they take your entire bag, they’re going to have to move quick. To prevent people opening your suitcase, you should invest in luggage straps and bungees which wrap tightly around the shell of your suitcase and stop it from being opened until the strap is removed. These straps are often made from bright neon colours, making it easier to spot should someone run off with your bag. You can buy relatively inexpensive trackers which can be put inside your suitcase and linked to your phone. You will then be able to view your luggage’s location on a map which is live and updates as it moves. This is a very useful solution so long as you notice that your luggage has gone missing sooner rather than later, as thieves are likely to spend as little time as possible with it. They want to get in it, steal the valuables and dump the rest. Once you hop off your plane, forget the toilet break and make sure that you make it to the baggage claim as soon as possible. The sooner you get to the baggage claim, the more chances you’ll have of getting your bag before a thief beats you to it. You should keep an inventory of the things you packed either in writing, in your phone, or even by taking a picture. This will allow you to confirm that a theft actually took place and you’ll be better able to identify what is missing and report it. If you don’t want your valuables to get stolen, you should keep them close to your person at all times. Never, under any circumstances, leave valuables in your checked bags, no matter how well you think they’re hidden. Cameras, jewellery and cash can show up in security scans easily, making them especially vulnerable. You should also make sure that you keep any bag you’re carrying with you close at all times. Thieves are opportunistic and will choose the perfect time to pounce. If you want to get some sleep during your flight, make sure that your bag is safe by slipping the handle under your feet or by using it as a pillow. Thieves will be more reluctant to make a move and you’ll be more likely to wake up if anybody tries to steal it. While most people would rather go for neutral colours when picking luggage, you should consider going for more vibrant colours. Why? Because thieves hate attracting attention and a colourful bag will usually stand out in a sea of generic black bags. Even marking your luggage in a specific way could help it stand out, which is the opposite of what thieves want. 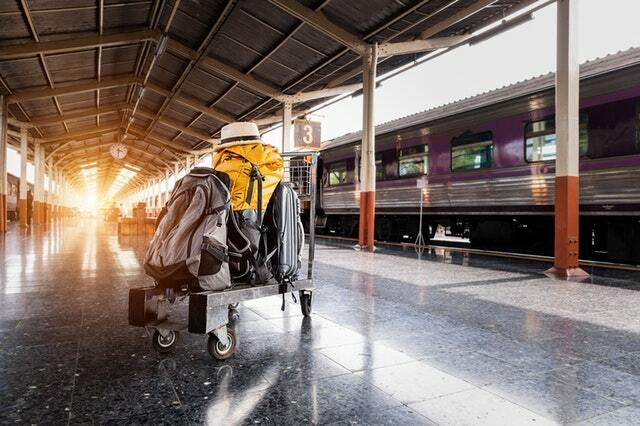 With luggage theft on the rise, it’s important for any traveller to ensure they are doing all they can to prevent becoming a target and having their belongings stolen.